Common Flaws in DIY Estate Plans - Crooks, Low & Connell, S.C. These days, it’s not hard to find DIY estate plan websites, software packages, books, and fill-in-the-blank forms. More people than ever are relying on DIY estate plans to make wills and other estate documents. It’s a cheap solution for those who can’t afford to pay an attorney to create estate plan documents. But, if you’re considering a DIY estate plan, you need to know that these plans are often flawed. Here’s why. DIY estate planning packages often work with only the simplest estates. If there’s anything the slightest bit complex about your estate planning needs, you’re going to make a mistake. For example, if you have children from a prior marriage or from multiple marriages, children with special needs, or property that has appreciated in value, you’re almost guaranteed to make a mistake with DIY estate planning. And that’s not even considering estates that could be subject to estate taxes. 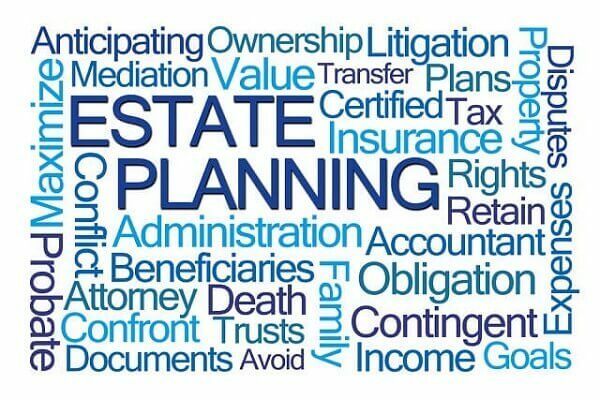 You simply won’t have the legal knowledge necessary to make an estate plan that will meet your needs. Even if you have a simple estate and are confident that a DIY estate plan will meet your needs, you could still make a mistake filling out the paperwork. If you misunderstand the instructions or follow them incorrectly, all of your documents could wind up invalid or ineffective. Your incorrectly created estate documents could even have consequences you never foresaw, and you’ll never know it, because those consequences won’t come to pass until after your death. They’ll be there for your loved ones to cope with. The reason DIY estate planning kits are so much cheaper than a lawyer is because they don’t come with legal advice. An attorney has the education and experience to know what solutions are right for your unique situation, and to equip you with the estate planning tools you’ll need to make sure you leave behind the legacy you’ve worked for all your life. When you look at the challenges and the list of things that can go wrong, it’s in your best interest to make sure you have a qualified legal team on your side to help with your estate planning. Let us help you make your estate is handled according to your wishes. If you need assistance setting up and managing an estate plan, we can help. To schedule a consultation with one of our attorneys, call our offices in Wausau, WI at (715) 842-2291 or complete our online contact form today.